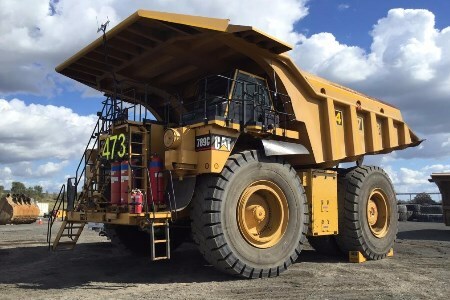 New Hope Group continues to break new ground in mining technology by trialling a diesel and natural gas hybrid truck at its New Acland mine on the Darling Downs, Australia. The high-density compressed natural gas truck was developed by Mine Energy Solutions and runs on an advanced duel fuel system. The revolutionary technology uses sequential gas injection for the conversion of high horsepower diesel engines from 100% diesel to dual fuel operation, using natural gas as the dominant fuel. “Mine Energy Solutions shares our commitment to innovation so we’ve really enjoyed working with them to get this new hybrid technology up and running at New Acland,” he continued. “So far the hybrid truck has performed to the same engine and truck performance as New Acland’s regular diesel-fuelled trucks,” Ford said. “The new duel fuel system overcomes the weight and space limitations of conventional Compressed natural gas and the cryogenic complexities of liquefied natural gas. Ford said a key component of the trial had been seamlessly transitioning the hybrid truck into New Acland’s regular work roster.